Former Tanaiste Frances Fitzgerald has heaped pressure on Taoiseach Leo Varadkar to return her to ministerial office by insisting that the next Cabinet should have a 50/50 gender split. Speaking at a private Fine Gael fundraising event in Tipperary, Ms Fitzgerald said it was essential that the next Cabinet had 50pc female ministers and insisted women should not accept anything less. Ms Fitzgerald also made what some of the all-female attendees saw as pointed comments about the Taoiseach. 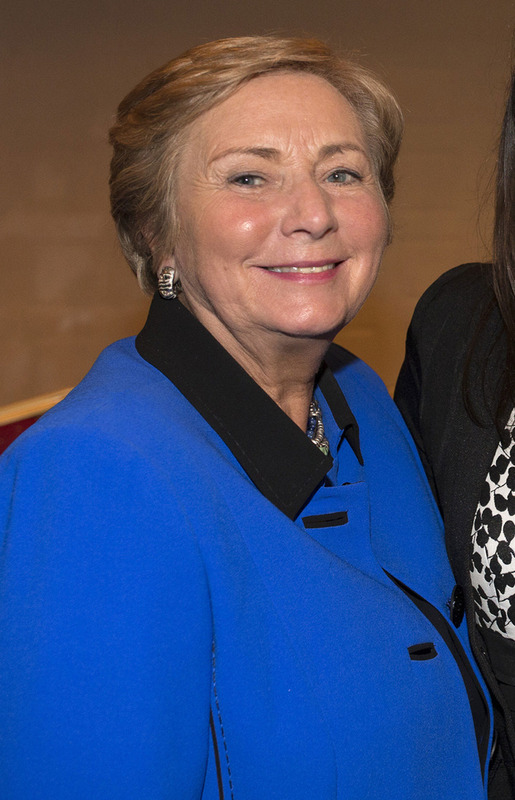 The former justice minister said that, unlike Mr Varadkar, she "didn't wake up at 15 and decide to become the Taoiseach", before adding that women get involved in politics because they have an interest in causes not power. A source close to Ms Fitzgerald said the behind-closed-doors comment was not a "jibe" at the Taoiseach but rather a joke. "It was a joke. She has said it before in front of Leo," the source said. Ms Fitzgerald also told the audience that she forced the Government to increase the general election gender quota from 20pc to 30pc. Her comments come as the Government considers introducing gender and diversity incentives for political parties ahead of next year's local and European elections. The scheme under consideration would see parties rewarded with extra State funding based on the number of female and ethnic minority candidates they put up in the elections. The funding would be specifically for hiring equality officers. The proposal is being developed by Minister of State for Local Government and Electoral Reform John Paul Phelan. The Fine Gael fundraiser was organised by general election hopeful Mary Newman, who narrowly lost out on being selected to run in Tipperary but hopes to be added to the ticket. The money raised was for Fine Gael's Tipperary organisation. Ms Newman's sisters, Kate O'Connell and Theresa Newman, were also at the event as was MEP Deirdre Clune and former Minister of State Marcella Corcoran-Kennedy. One of the prizes at the event was a dinner for two with Health Minister Simon Harris, while MEP Sean Kelly donated a butcher's voucher. Ms Fitzgerald was forced to resign from the Cabinet last year after Fianna Fail threatened to withdraw support for the Government. The Dublin Mid West TD is running in the next election and is understood to be anxious to return to Cabinet if Fine Gael leads the next government. Her calls for 50pc of the next Cabinet to be female ministers will put pressure on the Taoiseach to reappoint her as a minister if he wins the next election. Currently, just three out of 15 senior Cabinet ministers are female, and Mr Varadkar has been criticised in the past for the lack of women in the upper ranks of the Fine Gael party. New Spanish Prime Minister Pedro Sanchez recently appointed a female-majority cabinet. Mr Sanchez selected 11 women and six men as his ministers following his socialist party's ascension to power. He said his government was "unmistakably committed to equality" and wanted his cabinet to mirror changes in Spanish society. The Taoiseach had dinner with Mr Sanchez at last week's EU Summit. Canadian Prime Minister Justin Trudeau also appointed a gender-balanced cabinet when he was elected to office in 2015. "It's important to be here before you today to present to Canada a cabinet that looks like Canada," he said at the time.